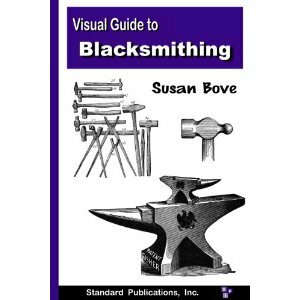 The Visual Guide to Blacksmithing is an excellent resource for the beginner blacksmith. This heavily illustrated guide begins by offering practical tips for setting up your own safe and space-efficient shop. Once your shop is ready, the Guide uses hundreds of diagrams and detailed descriptions to lead you through a variety of beginning blacksmithing techniques. These techniques will teach you how to forge your first tools and complete basic projects. Once you have acquired a basic knowledge of smithing and are comfortable with the techniques shown, the Visual Guide to Blacksmithing will help you to hone your skills by adding embellishments and your own individuality and flair to your creations.